With patrons like the alternative fashion poster girl and fashion blogger Toshada Nilekar, and emerging Bollywood fashionista and actress Swara Bhaskar, among others ai??i?? Quirksmith has our attention. At times flashy, attention-seeking and at others subtle, the Bengaluru-based jewellery brand now hopes to emerge as a national player in the field with their just launched e-store. ai?? ?We make jewellery for women with a strong sense of self. All our pieces have so much character,ai??? says Pragya Batra, who left her corporate career to join her jewellery designer sister Divya to start this brand in 2015 via Facebook. The many enquiries and patrons from Hyderabad spurred the siblings to go online to reach their out of town clientele. Featuring ear-cuffs like the Aham Brahmasmi (that translates into I am the infinite reality in Sankskrit, the collection that is made of 92.5 percent silver and promises to ai?? ?announce your arrivalai???. Having worked with Amrapali Jewels in the past, Divya, who has a degree in jewellery design from NIFT, Gandhinagar, is the design head of the brand. Pragya who studied at IIT-Delhi and later INSEAD, adds, ai?? ?We derive inspiration from strong women who we see around us ai??i?? our friends who have chosen a different path, for instance, and done well for themselves.ai??? Apart from ear-cuffs and brooches, the online jewellery portal has quirky and kitschy earrings, pendants, bracelets, nose pins and septum rings. 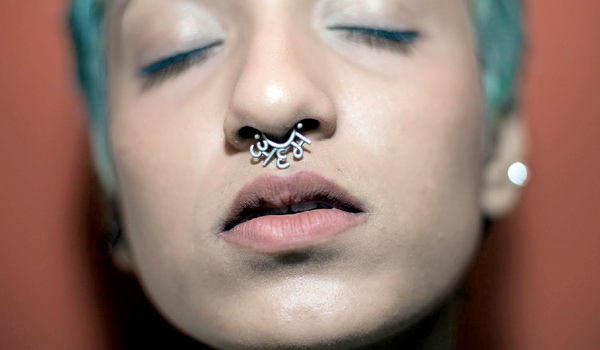 The septum rings, though designed for women, saw a following among men too. While the tribal silver danglers from their earrings section have a vintage look, the five-paisa earrings are kitschy. The RamRam septum ring or the sun nose pin can both be worn without a piercing. And as an ode to those who love and wear their designs, they have added a chapter called Quirkheads in their site, where you can post a selfie wearing one of their pieces, which will be then posted on their Instagram page. From Rs 600 onwards, Details: Quirksmith.com, 8861086220.